Expressions Performing Arts Center (located across from the Randolph Firehall at 75 Main Street in Randolph) offers competitive and non-competitive classes for dancers of all ages! To instill a love of movement and dance in our students. To help children and adults understand and appreciate the art of dance. To create a positive experience and environment in which our students can learn and grow. To promote the development of age appropriate physical skills and dance technique. To promote the development of social skills including: participating and sharing within a group and leading and following. To develop an awareness of personal space of others. To encourage and develop personal body health and wellness in our students. To educate parents, dancers and the community about the importance of dance in all of our lives as valuable, creative art. Melissa Anderson, Studio Director, has been a part of the Dance Community in WNY for over 3 decades! She began her dance career as a student of the original Dance Center and later became an instructor at Expressions Dance Center- Melissa was excited to take over the reigns as the new director of Expressions Performing Arts Center in 2013. Through elementary and high school, she studied with Ann Archer and competed locally. During college, she joined the school’s dance team and began choreographing. Upon Melissa's return to the area, she served as an instructor and choreographer for the State Champion Falconer Golden Falcon Marching band in the early 2000's. She took over as a visual caption head, colorguard director and show concept designer for the Frewsburg Marching Band. 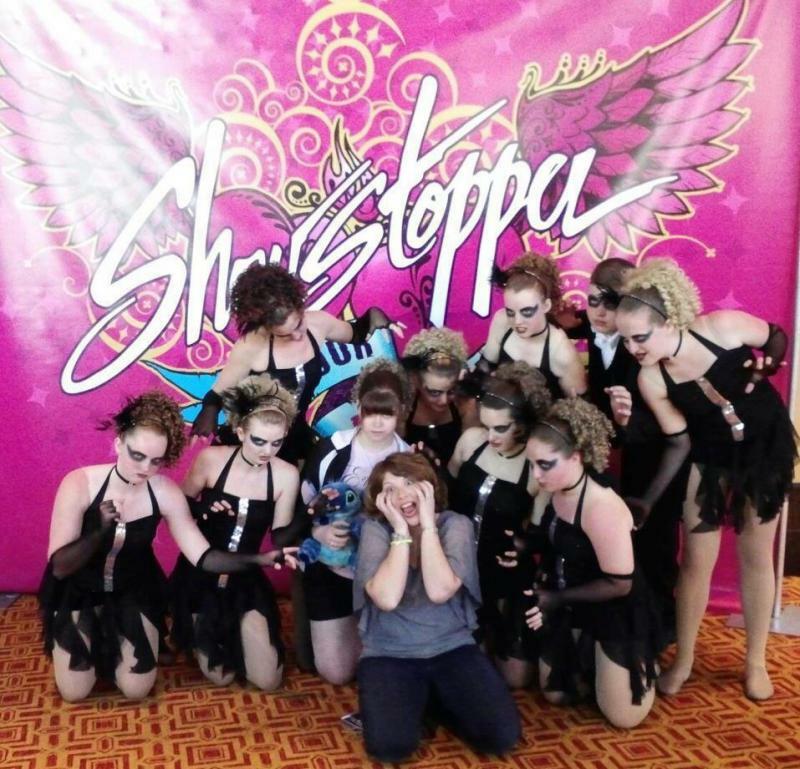 For several years, Melissa directed the award winning Lake Effect Storm Winter Guard. She has choreographed musicals for several local and regional productions. Always looking to stay in touch with the latest in the dance world, she has taken master classes with many industry professionals, including The Rockettes, Walt Disney World dance cast members, members of the Broadway cast of "Joseph and the Amazing Technicolor Dreamcoat," the international touring show "Tap Dogs, and members of the Martha Graham Dance Company. Her dance students have represented Randolph, NY and the Southern Tier throughout the area at the Cattaraugus County Fair, the New York State Fair, local educational programs, community functions and fundraisers, as performers three separate times in the Walt Disney World Resort, and as Showstoppers American Dance Championships Regional and National Dance Champions. She enjoys sharing her love for dance and helping students to develop and share their own love of dance with the world.